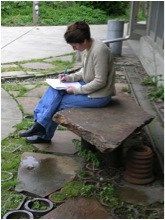 Lynne Manzo Associate Professor has taught in the College of Built Environments at the University of Washington, Seattle since 2001. She is also an Adjunct Associate Professor in the UW School of Social Work. She received her PhD in Environmental Psychology from the CUNY Graduate Center in 1993. Dr. Manzo’s work focuses on place attachment, place meaning, identity, and social justice as applied to affordable housing, cultural landscapes and community participation. In particular, her research has examined the experience of place and displacement among public housing residents who are forced to move as a result of urban regeneration programs. 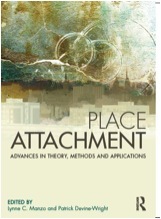 Her latest book, Place Attachment, Advances in Theory, Methods and Research, with Patrick Devine-Wright, was published by Routledge in 2014. It won the Environmental Design Research Association, Achievement Award that same year. She has published numerous book chapters including “Recognizing the Lived Experience of Place: Challenges to Genuine Participation in Redeveloping Public Housing Communities” in Sutton and Kemp ‘s 2011 book, The Paradox of Urban Space: Inequity and Transformation in Marginalized Communities. Another chapter entitled, “‘We are the Fruit Bowl:’ Place, Cultural Identity and Social Ties among Immigrant Residents in Public Housing” appears in Transcultural Cities: Border Crossing and Placemaking, edited by Jeff Hou. Dr. Manzo has also published in various refereed journals including the Journal of Environmental Psychology, International Journal of Housing Policy, Journal of Planning Literature, Urban Affairs, The Journal of Architecture and Planning Research and Housing Policy Debate. Dr. Manzo teaches an array of courses from undergraduate lecture classes, such as The Human Experience of Place, to graduate seminars like the Politics of Public Space. In Spring 2014, she won the UW’s College of Built Environments Lionel Pries Award for Excellence in Teaching, which is voted on exclusively by students. Since moving to Seattle Lynne has become an outdoor enthusiast – hiking, kayaking, even glacier climbing! It’s a good antidote to sitting at the computer.